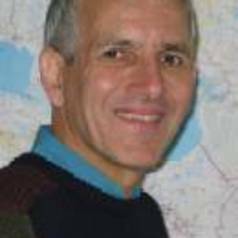 Dr. Richard Pomfret has been Professor of Economics at the University of Adelaide since 1992. Before coming to Adelaide, he was Professor of Economics at the Johns Hopkins University School of Advanced International Studies in Washington DC, Bologna (Italy) and Nanjing (China). He previously worked at Concordia University in Montréal and the Institut für Weltwirtschaft at the University of Kiel in Germany. He has also held visiting positions at universities in Australia, Canada, China, France and the USA, and is an honorary Fellow of the Centre for Euro-Asian Studies, University of Reading, UK, and of the research centre ROSES-CNRS, Universite-Paris I (Sorbonne). Richard Pomfret has acted as adviser to the Australian government and to international organisations such as the World Bank, Asian Development Bank and United Nations Development Programme. In 1993 he was seconded to the United Nations for a year, acting as adviser on macroeconomic policy to the Asian republics of the former Soviet Union. He has also worked at the Organisation for Economic Co-operation and Development in Paris on several occasions while on leave from Adelaide. His research interests centre on economic development and international economics, and he has published over a hundred papers in these fields. He has written seventeen books, including Investing in China 1979-1989; Ten Years of the Open Door Policy (1991), The Economics of Regional Trading Arrangements (1997; paperback edition 2001), Constructing a Market Economy: Diverse Paths from Central Planning in Asia and Europe (2002), The Central Asian Economies since Independence (2006) and Regionalism in East Asia (2011). He has also written textbooks on international trade and on development economics, and edited a textbook on Australian trade policies. His most recent book, The Age of Equality: The twentieth century in economic perspective, is published by Harvard University Press (2011).